Hello and happy Tuesday. It's time for another challenge at CASology. 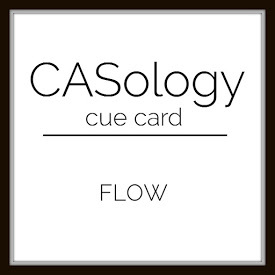 This week, our cue word is flow. I thought about water flow and the flow of waves. Perhaps that is because I live so close to the ocean. I created a little scene with three simple sail boats. I kept my card CAS by leaving a lot of white space between the waves and also limiting the number of colors I used. I curved my sentiment to follow the curve of the top wave. Now it's your turn. How does FLOW inspire you? I hope you play along this week. Please remember to keep it Clean and Simple. I am also linking this card up at Simon Says Monday Challenge: The Great Outdoors, Simon Says Wednesday: Anything Goes and Seize the Birthday: Anything Goes. 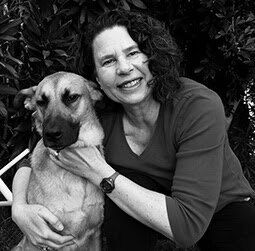 Our Guest Designer is Sunday Stamper. Love those waves. Fabulous take on the challenge word Joyce! Wonderful, Joyce! it doesn't take much to make this girl seasick, however... you've conveyed flow perfectly! Wonderful CAS card Joyce! I love those cute little boats and the waves look fabulous. Your little sailboats are so cute and I love how you curved the sentiment to match the waves! Fabulous take on the cue card, Joyce! 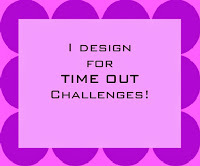 Fun design! Love all the movement you've created, perfect for this week's cue word! Oh to be sailing. This is a cute card, Joyce. What a lovely design Joyce and I wasn't sure what flow was - but your card definitely has it! Very pretty. Lovely CAS look of your card. Thank you for playing with Simon Says Stamp Monday Challenge. I like the modern look this has, those waves are cool!! Darling little card friend!! I think those sailboats are adorable : ) fantastic take on the CASology theme! 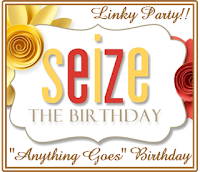 and thanks a bunch for including your card in the Seize The Birthday gallery! W love seeing your work there. This is just adorable...love your sweet sail boats.